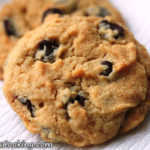 Here is a collection of baking and cooking recipes using Brown Sugar as one of the ingredients. This page will be updated on regular basis. Having over ripe bananas at home? Wondering what to do? No second guessing please. 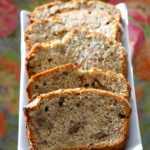 You have to try this egg free, dairy free, easy vegan banana bread recipe. Special occasions call for a special treat and this chocolate layer cake should be it. 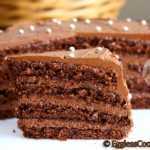 I bet you would wonder why do we need eggs to bake a delicious and decadent cake once you try this recipe. 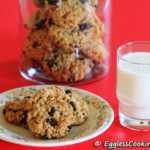 The best chocolate chip cookie recipe ever, it's eggless too. These cookies are crisp around the edges and chewy inside, with an addictive taste. If you are not convinced about vegan baking and still have doubts about how it tastes, then do try this vegan carrot cake with vegan cream cheese frosting and be prepared to be blown away! 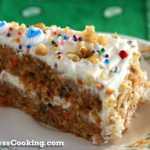 Are you looking for a coffee cake without eggs recipe? Do you have blueberries at home? Then you are in the right place. 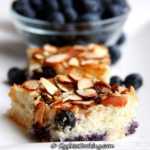 This egg free blueberry coffee cake recipe will become a sure hit in your house because of it's rich taste yet light and tender texture and amazing taste. 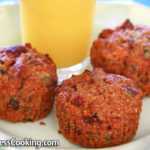 Flavorful orange and cranberry muffins studded with pieces of pecans. 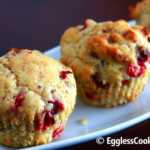 These muffins are vegan and low fat too but this does not affect the taste. Flax seed powder is used as an egg substitute in this recipe. 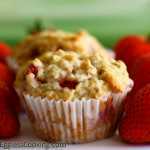 This strawberry banana muffins with yogurt recipe is a perfect and easy recipe to try if you want to make something simple yet delicious with strawberry and banana. You can also use blueberries instead of strawberries in this recipe. Nobdoy can guess these are vegan cookies. Vegan version of the classic cookies are chewy and tasty. 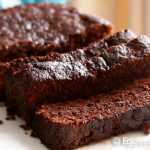 Bake this super moist and healthy chocolate zucchini bread and indulge it anytime of the day. It's difficult to believe that these delicious muffins are vegan and loaded with a lot of healthy ingredients including oat bran.